Though its fame as an icon of twentieth-century literature rests primarily on the brilliance of its narrative technique and the impressionistic beauty of its prose, To the Lighthouse is above all the story of a quest, and as such it possesses a brave and magical universality. Observed across the years at their vacation house facing the gales of the North Atlantic, Mrs. Ramsay and her family seek to recapture meaning from the flux of things and the passage of time. Though it is the death of Mrs. Ramsay on which the novel turns, her presence pervades every page in a poetic evocation of loss and memory that is also a celebration of domestic life and its most intimate details. Virginia Woolf’s great book enacts a powerful allegory of the creative consciousness and its momentary triumphs over fleeting material life. Virginia Woolf was born in London in 1882, the daughter of Sir Leslie Stephen, first editor of The Dictionary of National Biography. 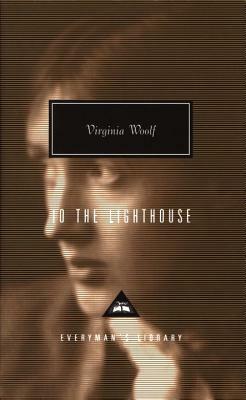 From 1915, when she published her first novel, The Voyage Out, Virginia Woolf maintained an astonishing output of fiction, literary criticism, essays and biography. In 1912 she married Leonard Woolf, and in 1917 they founded The Hogarth Press. Virginia Woolf suffered a series of mental breakdowns throughout her life, and on 28 March 1941 she committed suicide. “[Woolf’s] people are astoundingly real…The tragic futility, the absurdity, the pathetic beauty, of life–we experience all of this in our sharing of seven hours of Mrs. Ramsay’s wasted or not wasted existence.